When I told people that I was headed to Krakow for the weekend, almost everyone asked me the exact same question, “Will you visit Auschwitz?” My answer was no as my time there was so limited (an excursion to the camp takes most of the day) that I decided to save it for a future trip. And I’ll be back for sure! Because I didn’t visit Auschwitz didn’t mean that I couldn’t take in my share of the city’s important historical sites. The very first place I visited after arriving in Krakow was the New Jewish Cemetery in the city’s Jewish district of Kazimierz. Founded into 1800 and sprawling across 4.5 hectares (11 acres), this massive cemetery contains over 10,000 tomb stones. When the Nazi’s invaded Poland in WWII, the cemetery was all but destroyed. Stone from people’s former grave markers were either sold to local masons or used as construction materials in a nearby concentration camp, Krakow-Plaszow. Some of the stone from the cemetery was even used in the courtyard outside of Amon Goth’s home, the notoriously evil man who ran the Krakow-Plaszow camp and the one who oversaw the efforts to evict the Jews from Krakow. The Nazis were also said to have left the scattered remains of the former cemetery inhabitants disrespectfully out in the open. After the war was over, a camp survivor (thought to be Jakub Stendig) worked on the restoration of many tombstones, having them reinstalled in the cemetery. A renovation effort began in 1957 and continued on for years. Only 10 years after the fall of Communism in 1999 did the cemetery finally see a complete transformation and it along with the mortuary were formerly classified as historical monuments. The New Jewish Cemetery cemetery is now full of old and new graves as well as various memorials dedicated to those murdered during the Holocaust. Some of the memorials and the wall surrounding the cemetery are full of fragments of tombstones destroyed by the Nazis. A walk through the cemetery on a cold winter afternoon provided me with the opportunity to reflect on the enormity of what happened there. Almost completely empty of people, it cast a solemn mood over the beautiful yet tragic place. The sunset washed the cemetery with a warm golden light making the experience even more poignant. Just as I was about to leave, I met a man standing beside a large tombstone. He asked me to take his picture and explained that the tombstone beside him was the grave of his grandfather. Overcome with emotion, he said he’d searched for his burial site for years. It was really a touching moment! While I’m happy he was able to find his grandfather and end his long search, it was sad to see that a dark chapter of history still affects people even today. If you want to visit the New Jewish Cemetery in Krakow, it can be found at ul. Miodowa 55, Krakow, Poland. 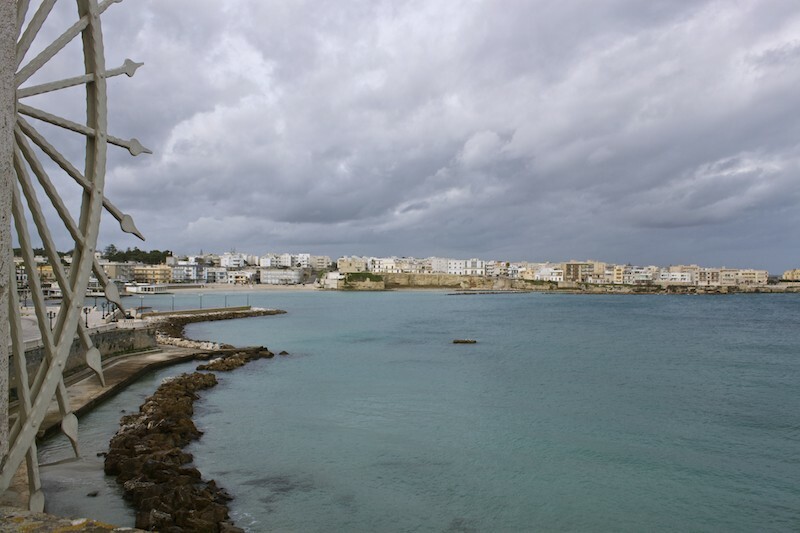 A Photo Tour of Otranto, Italy. Cheryl, those are some beautiful photos. I’m glad the sun was out and low, which provided some dramatic light to your shots. As I’m also thinking about visiting Krakow this fall, your post was very timely. Thanks again for your post! I suppose there is no way we can actually see the last picture you write about… is there? @Mauro – No, I took the photo with his camera. I wish I had asked him for a coffee to learn more of his story. It would have been fascinating (if a little sad)tp hear his family history. 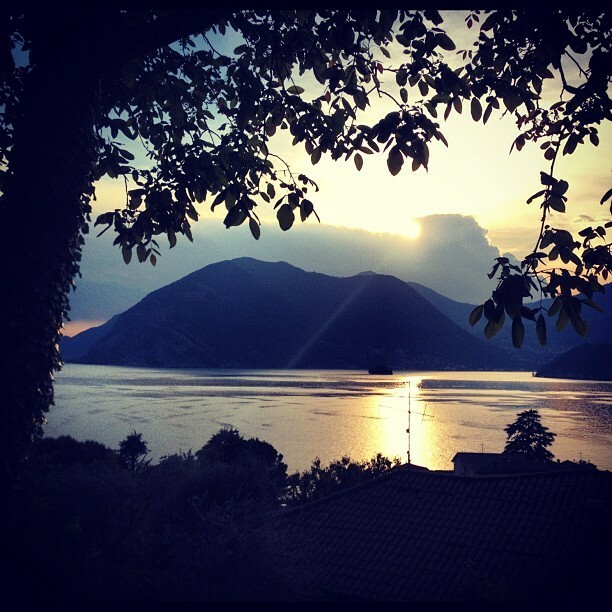 @Mauro – Indeed, some of my best moments on the road have occurred randomly and most unexpectedly. The lighting in your photos is so haunting and your experience at the end with the man at the end is heartbreaking, but incredible. @Laurel – It was certainly a beautiful time to be in the cemetery. I hope that he found some peace in finding his grandfather’s resting place. He told me he’ll never forget me! @Jade – thank you! It was a sad but lovely experience. Jewish cemeteries and memorials are certainly one of the most emotional things I have visited. This cemetery is no exception, and you captured the feeling very well! @Eurotrip Tips – Very emotional! Thanks so much. This is beautiful! Even a grave yard can be a gorgeous site. @Page – It certainly is and in fact should be beautiful especially given what happened there. It’s a pity you didn’t get a chance to visit Auschwitz, but I’d imagine this would have been quite moving as well. I’ve got something of a (morbid) fascination with cemeteries. There are so many stories and sadnesses hidden in even the smallest of them. I used to live across the road from a tiny cemetery and I’d often wander the grounds and wonder what stories lay behind those headstones. I can’t even imagine how many stories you’d have encountered in Krakow. Your photos are absolutely stunning by the way. I love the way you’ve captured the light. It might have just been a typo, but I thought I should point out that the fall of Communism was in ’89, not ’99. @Layne – It wasn’t a typo but was worded incorrectly. Will fix it shortly and thanks for letting me know! Appreciated. There’s no way you can visit a place with so much meaning and history and not be moved. Excellent post and photos. Your moment with the man by his grandfather’s grave is very touching. @Cathy – Thank you so much! This is definitely one of my top all time travel experiences – it was tragic yet beautiful. Weird and Offbeat Site: Plac Nowy Jewish Market in Krakow.